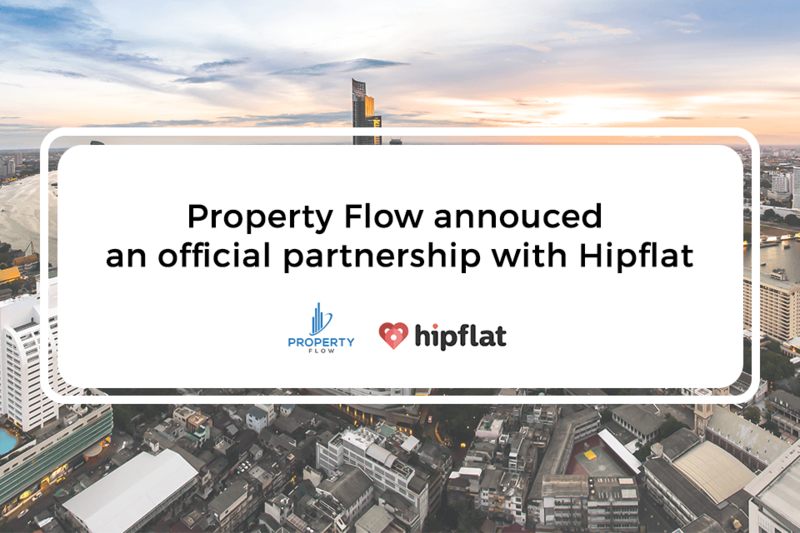 Property Flow, A Technology platform for real estate professionals in South East Asia, announced an official partnership with Hipflat, one of the leading real estate portal in Thailand. Through collaboration, the companies aim to improve the workflow for real-estate professionals, by reducing time spent on managing listings and increasing lead generation. About Property Flow Property Flow is a technology company focusing on digitizing and improving the workflow for real-estate professionals in the South East Asia region. An end to end solution for real-estate agents and brokers is provided through Property Flow both through the web as well as mobile. Property Flow’s mission is to modernize real estate workflow to increase the revenue for the agents, as well as reduce the time spent on fulfilling the client’s requirements. About Hipflat Hipflat is the fastest growing online real estate search portal in Thailand. More than 550,000 visitors per month spend over 3.7 million minutes each month on their portal. There are more than 250 real-estate agents and brokers on the portal, with over 160,000 listings. Hipflat’s mission is to provide the best transparency and effectiveness for consumers in the Thai real estate market by provides unique market trend data to help buyers and sellers to make a decision about property purchases or sales.